A little bit later than usual it's finally time for the the MJMeads.com Short Story Competition 2019! This year's competition is once again open to entrants worldwide providing the submission is written in English. Ideal for the year round scribe these writing gloves provide a warm and snug solution to writing in those cold winter months or even outdoors, as they leave your fingers free for typing. They also make a great insulator for every writer's vice... coffee! Word Count: Min 1500 – Max 2500 words. Format: Word docs preferred, .odt, .txt or .rtf is also fine. Participants: All countries, all ages, English language submissions only. Please Note: Previously unpublished stories only, entries previously submitted to other competitions are allowed. Entries from children are allowed but should be submitted by a parent/guardian/teacher and be aware that they will be judged against adult entries, there is no separate category for children. The initial shortlist will be drawn up by MJ Meads, then the winner and any runners up will be selected by a panel of authors, book lovers and past winners chaired by MJ Meads. The judging panel's decision is final. 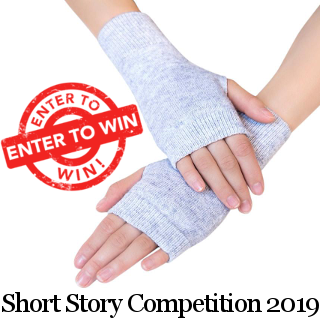 For tips on writing a short story for the competition click here! The shortlist will be announced on 1st July 2019. The winner will be announced on 15th July 2019. 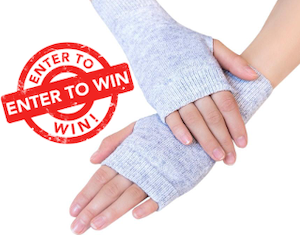 Writing Gloves product page at Literary Book Gifts. A full list of terms and conditions for this competition can be found here. I'm often asked to provide feedback on short stories that failed to win, or make the shortlist, so this year I've simplified the process and made it fair. I run this competition as a labour of love, it takes a significant amount of time to read all the entries and discuss the shortlist with the judging panel. If I were to provide feedback to every single entrant it would double the amount of time I already spend running the competition. With that in mind, if you want feedback on your short story all I ask is that you purchase a copy of my debut novel 'Milk', read it and review it on your favourite retailer's website, Nook, Amazon, Smashwords, Kobo etc. Once you've done so simply send me a link to your review (be honest, if you didn't like it you can say so) and I'll provide detailed and hopefully useful feedback on your short story.